Hola mis amigas y amigos! 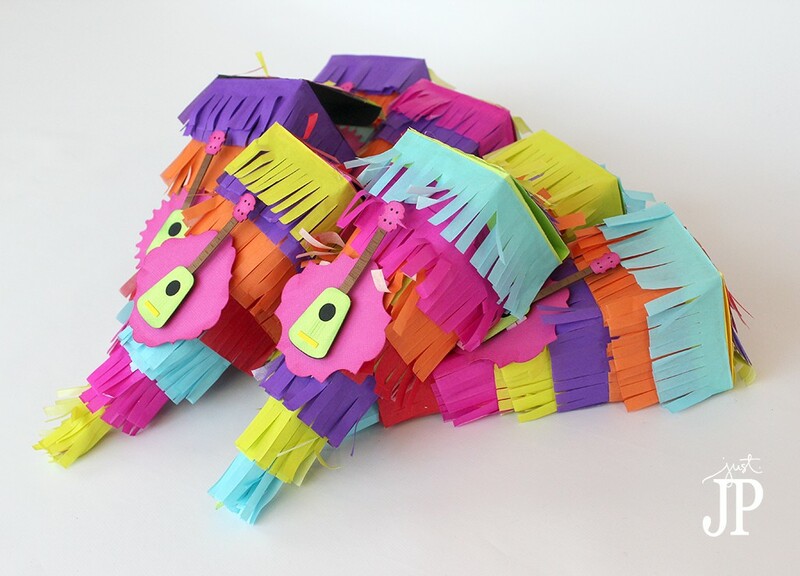 Mexican Independence Day is coming up on September 16th so all this week, I am sharing piñata inspired projects. It's piñata week!! See all the projects from the week at the end of this post. Today I am sharing a piñata inspired favor box tutorial using the Sizzix eclips2 DIY Electronic Cutter. My family always throws a huge party at my parents' ranch in Southern California in the middle of September to celebrate the “true Mexican Independence Day”. It's not Cinco De Mayo! The party is a great way to end the summer and to celebrate our heritage going into the fall holiday season. My family usually asks me to make something crafty for the party so this year, I'm making these DIY piñata inspired favor boxes. 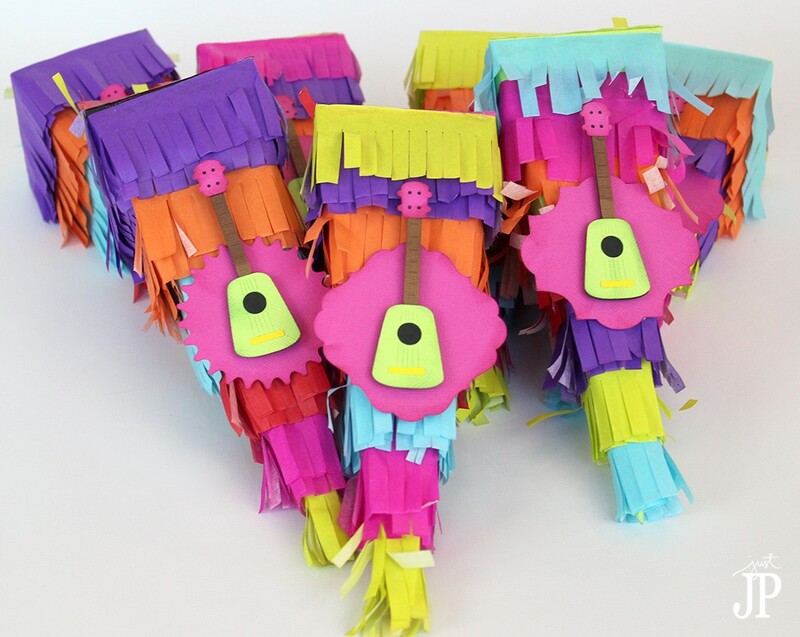 These pretty piñata boxes make great favors or place markers; offer them in a basket to guests as they come in the door or label them with guests' names and place them on their plates at the dinner table. This post contains affiliate links for the supplies listed – I get a few cents if you buy something when clicking the links. This box can be created with the Sizzix eclips2 DIY Electronic Cutter and several shapes from the Sizzix eShape store plus a Sizzix Bigz Die – Flowers, 3-D #2 and the Sizzix Big Shot Plus. I combined both electronic and manual cutting to make a really unique and fun favor everyone will adore! This tutorial shares how to take a shape from the eShape store, the Ukulele, and create a multi-layered paper pieced die cut inside of the eCal2 software. I also shared how to color code the pieces of the image to pre-design the piece within the eCal2 software so you can be sure your design looks perfect before cutting out all of the pieces. 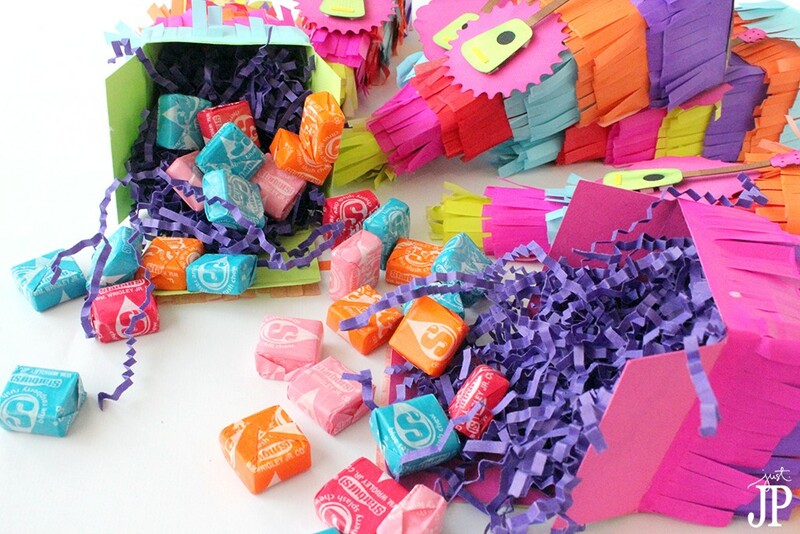 I used the Sizzix Bigz Die – Flowers, 3-D #2 and Sizzix Big Shot Plus to create fringe strips with brightly colored tissue paper for the piñata effect. I added strips of the die cut tissue paper to the lid of the box to complete the piñata look, using scissors to trim the edges of the tissue along the sides of the die cut box. I used a hot glue gun to adhere the tissue fringe to the box but any white glue would work as well (and probably won't burn your fingers!). Once the fringe is attached to the box, gently crumple it with your hands. Add the ukulele and label die cuts to the box with foam tabs. When cutting layered die cuts, start with the darkest color as the base to make the colors of the die cut pieces pop. In this case, the center of the guitar hole was black so I used black cardstock to create the base of the layered ukulele die cut. 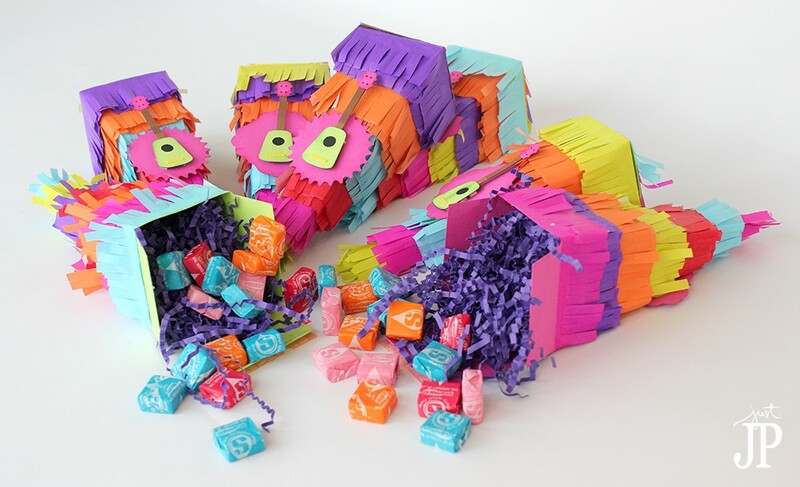 Gluing all of the elements to the base shape also creates a strong die cut that can stand up to handling when used to decorate party favors like these piñata favor boxes. Before assembling, I inked all of the edges of the papers with my favorite ink and ink applicator. I then used white glue to assemble the ukuleles. After cutting and assembling the multi-colored ukuleles, I added them to labels from the Many Artisan Labels by Michelle Renee set from the Sizzix eShape Store with foam tabs. The base of the box was created with the Long Triangle Box from the Sizzix eShape Store. Filled with candy, mints, or party poppers, these festive boxes will make every guest at the party feel “extra especial”. 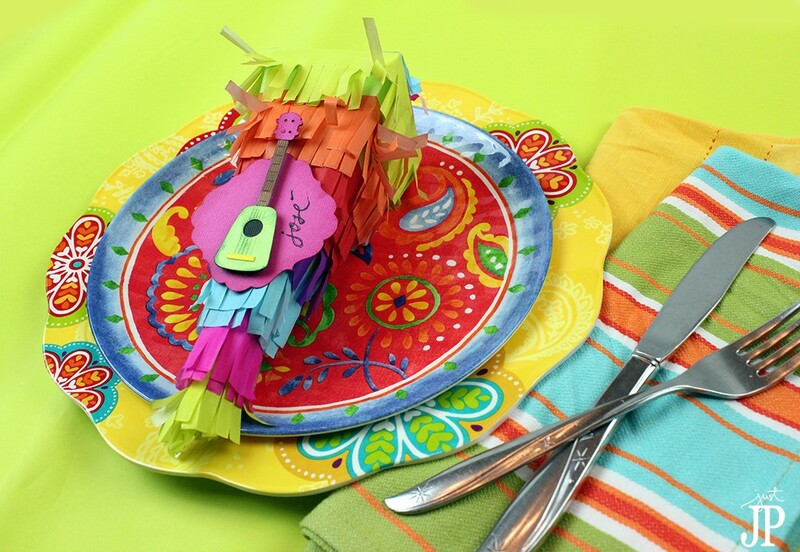 These boxes are sure to be a “hit” at your next fiesta! 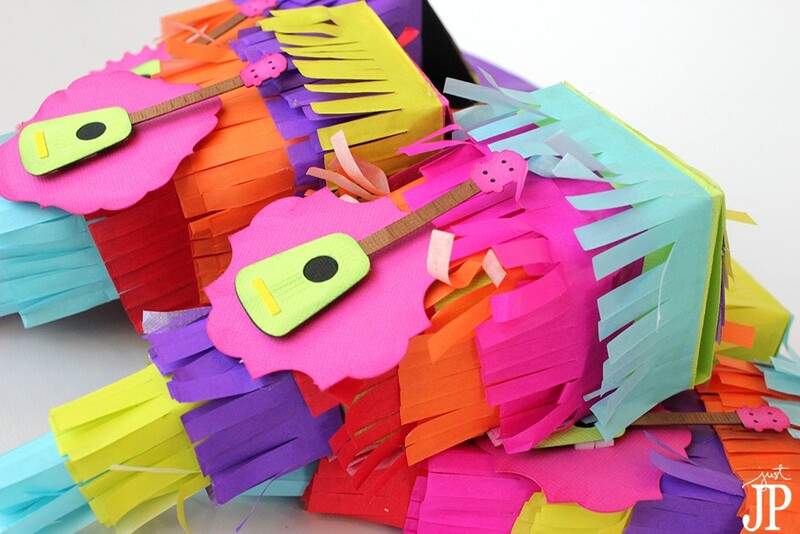 DIY Piñata Bulletin Board – Piñata Week! These are super cute and colorful!! 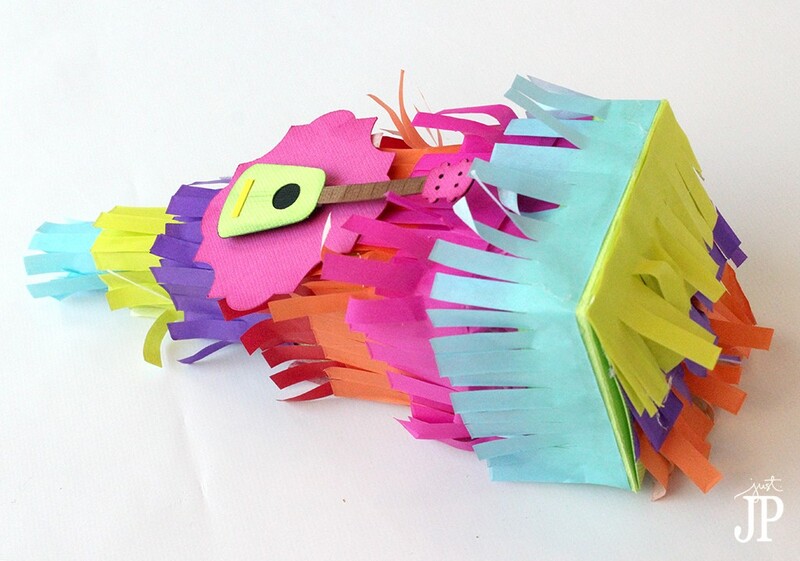 Who doesn’t want a personal pinata? These are SO fun!! I love them!! 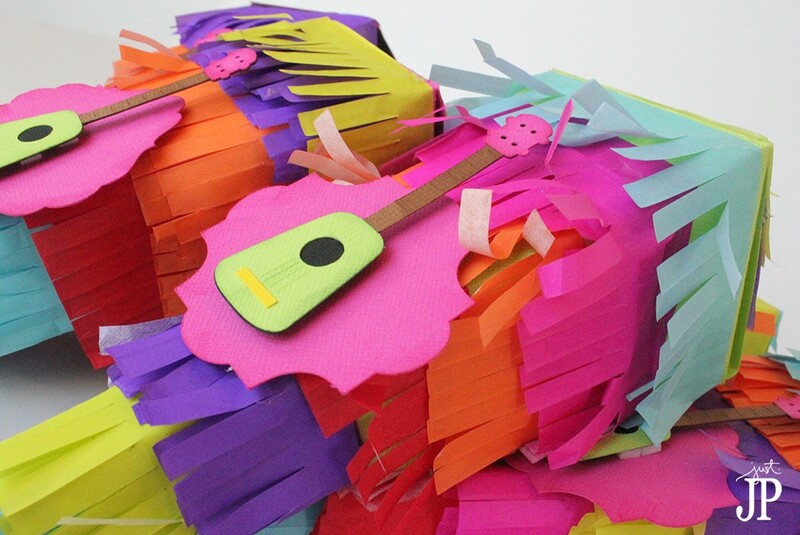 Those mini pinatas are absolutely adorable! Such a festive and fun favor and place setting. Oh my goodness, those are adorable!! What a cute and creative idea. I’m trying to think of a fun party theme I can use for my son’s upcoming birthday. These would be great favors for the kids.